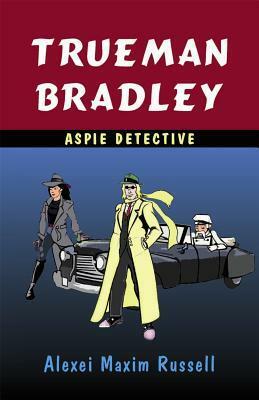 Trueman Bradley is a genius detective with a difference, he has Asperger’s Syndrome (AS). Trueman leaves his hometown of Heartville, Illinois, and arrives in New York City, hoping to fulfil his dream of becoming a private detective, like his comic book heroes. He is soon told that a guy with AS could not possibly succeed as a detective. Undeterred, Trueman uses his exceptio Trueman Bradley is a genius detective with a difference, he has Asperger’s Syndrome (AS). Trueman leaves his hometown of Heartville, Illinois, and arrives in New York City, hoping to fulfil his dream of becoming a private detective, like his comic book heroes. He is soon told that a guy with AS could not possibly succeed as a detective. Undeterred, Trueman uses his exceptional mathematical skills to invent a crime-fighting equation, and with the help of his new friends and some amazing inventions, sets out to test his skills against the criminal world of New York. He is determined to show the police, his friends, and himself, that a guy with AS can become as good a detective as anyone else, maybe, even, one of the best.